The Rolling Stones are coming to Ontario as part of their “No Filter” tour. The legendary band will be heading to Burl’s Creek Event Grounds in Oro-Medonte this Canada Day weekend, on Saturday, June 29, for a “Canada Rocks with the Rolling Stones” concert and the final North American leg of their tour. It will also be their only Canadian show. Republic Live, producers of Boots and Hearts Music Festival and Big Sky Music Festival, will host The Stones at Burl’s Creek Event Grounds on its 600-acre site, located in Oro-Medonte – which is located one hour north of Toronto and just fifteen minutes north of Barrie. It’s the same grounds that hosted WayHome Music & Arts Festival as well. 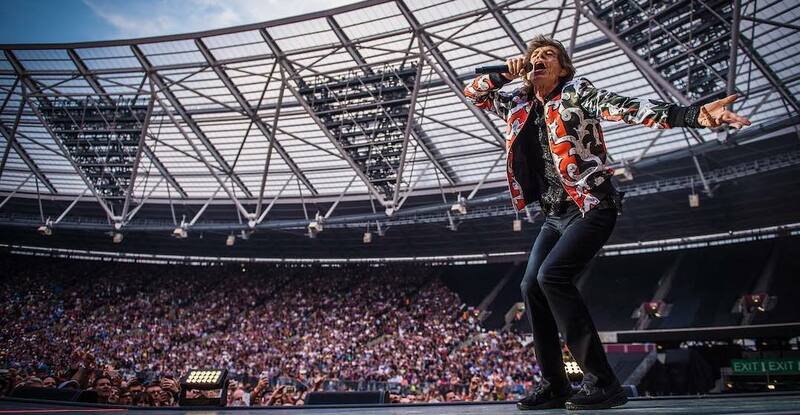 The ‘No Filter’ tour received rave reviews for Mick Jagger, Keith Richards, Charlie Watts and Ronnie Wood so far, as they played to sold out stadiums throughout the UK and Europe last year. The set list has the iconic group treating generations of fans to classic Stones hits including “Sympathy For The Devil,” “Paint It Black,” “Brown Sugar,” “Miss You,” in addition to special gems from their celebrated catalog, according to organizers. Tickets: Available starting Friday, February 15 at 10 am through Ticketmaster.